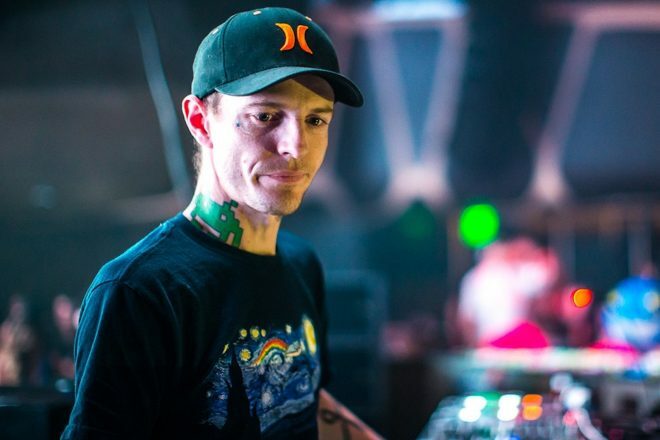 It's widely known that electronic music innovator deadmau5, aka Joel Zimmerman, has a passion for technology. Now he's channeling that passion to develop a new first person shooter video game. Following the announcement that he's building a LAN/gaming center in Canada, Zimmerman unveiled his progress on the new game. He's working with Unreal Engine to develop the project, which is still in the "early 'alpha alpha' testing" phase. More recently, Zimmerman shared an update with fans via Twitter and revealed footage of his progress, which was captured during one of his Twitch live stream sessions. He added that he's "making great progress with the team," but to "consider it a pet project" and to "give us a year at least". Zimmerman went on to share more about the development of the game via Reddit: “We’re just setting up some basic mechanics, getting a space together where we can jam out in an arena of sorts and spitball ideas…once we’ve agreed on that and nailed in network code and sever delegation, we head down the ‘fun and original secondary objective’ route." Watch deadmau5 play a prototype of the game below.